Have you ever wondered what it would be like to be an heir to the Walt Disney legacy? I sure have! If I were an heir to Walt, I believe I’d have to have my hands into everything that is going on around the company. 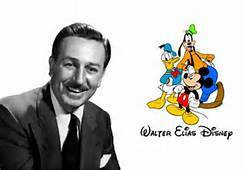 Walt was known for animated movies using mostly innovations he designed. The creation of Mickey Mouse was his opening act into this genre that really gained traction when Snow White and the Seven Dwarfs premiered to thunderous applause and the accolades of industry critics when it took an Oscar. He was also known for family friendly entertainment! I think of movies like Old Yeller, Toby Tyler, and Pollyanna brought challenges of families of the early years to the big screen. They showed us the importance of family and being together. I love these Disney Classics. When it comes to the theme parks, Walt Disney knew that there needed to be a place for the entire family to come together and spend some quality time connecting with each other. Thus, Disneyland was born! And, out of that we have seen the parks grow! First, Walt Disney World with eventual growth to four different theme parks, resorts of all levels for guests to choose from, and many activities outside of the parks to keep you occupied for weeks and never have to leave the property. And, let’s not forget, Tokyo Disneyland, Disneyland Paris, Hong Kong Disneyland, and soon Beijing! If I were a part of the Disney family, I would truly want to have someone keeping and eye on how things are done. Making sure that the movies are high quality to entertain families and give them a reason to spend some time together. Checking up on the theme parks to be sure that the Guest Experience measures up to the level that Walt expected every time he walked into Disneyland. And, even applying the values of the Disney name to any other venture that falls under the family umbrella. Sure, Walt Disney had tough times and made some rough decisions as he grew his company. And, it should be expected, that as the company continues to grow, there may be some small setbacks along the way. But, if I were an heir, I’d have a sense of pride and commitment to secure a future NOT just for the stockholders and employees of the company, but also for the guests of our films and theme parks. But, alas, I will just have to accept that I am not an heir. Not a family member. The only things that connect me to Walt Disney is my love for the Disney product, and my birthday, which is December 5. Thank you Walt for leaving your legacy for all of those who have inherited your dreams!